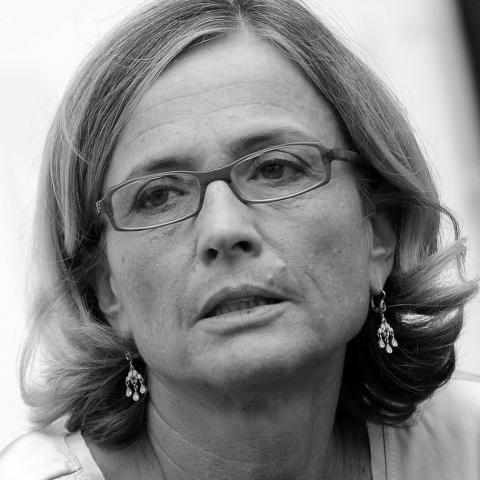 Roman director Cristina Comencini began her career as a screenwriter with her director father Luigi Comencini. After graduating in Economics, she made her debut as a film director in 1988. Her 2005 film The Beast in the Heart, based on her own novel La bestia nel cuore, was nominated for an Academy Award for Best Foreign Language Film. This charming new offering from acclaimed writer/director Cristina Comencini (Don’t Tell) tells the story of the life and secrets of great Italian star, Saverio Crispo, a “Latin Lover” (played seductively by Francesco Scianna, Baaria). Saverio was Italy’s most beloved movie star of the Golden Era and a prolific ladies’ man. To mark the anniversary of his passing, his five daughters from ranging relationships with five different women gather in his hometown to piece together the puzzle of the man they’ve known only as an icon. The international cast features a contemporary ensemble which brings this comedy to an amusing new pitch. Most notably, it includes Pedro Almodóvar veterans Candela Peña, Lluís Homar, and Marisa Paredes, and especially poignant turns from three-time David di Donatello winner Valeria Bruni Tedeschi (Human Capital) and the late Virna Lisi (Queen Margot) in her final screen appearance.